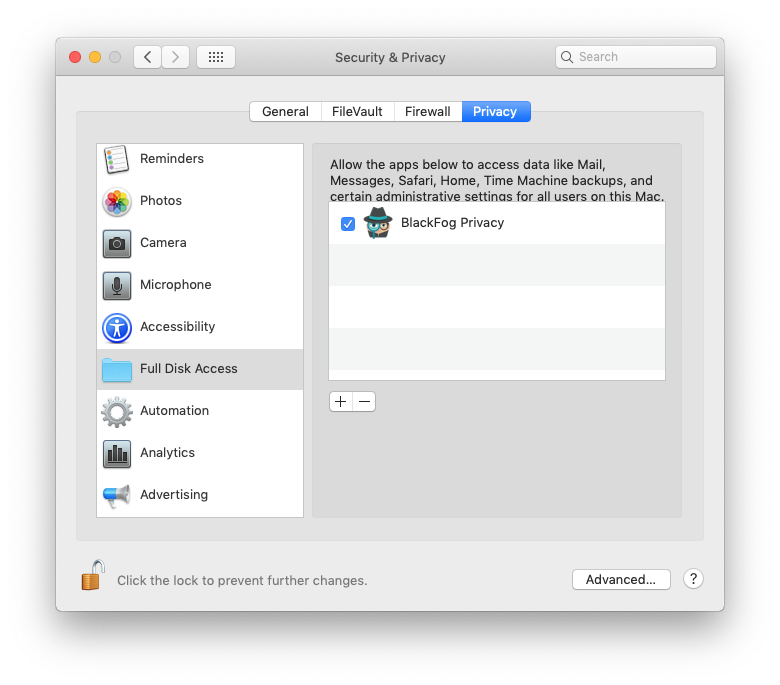 When using macOS Mojave with BlackFog it is important to allow “Full Disk Access” to the application in order for it to correctly detect and remove malware. To do this it is necessary to open the “Security and Privacy” System Preferences. Once opened, scroll down to Full Disk Access and click the + button to add BlackFog to the list. Once you restart BlackFog it will operate normally as before.